It's Thursday, Real Kids Day. Friendship is so important to children. Best friends understand you, they like to do the same stuff, they think the same things are funny, and sometimes, they're just great to nuzzle and run around with in circles. 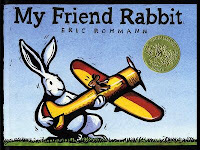 Books about friends are something friends can share, too.